It is vital to understand that Cremation is a permanent and irreversible process, so it should be well thought out. Of equal importance is the consideration of a viewing, private or public, prior to the cremation. The long-term value of a traditional viewing and funeral service is a treasured element in the grieving process. Because we own and operate our own Crematory facility on the premises, your loved one is cared for with the utmost respect and dignity by our licensed funeral personnel. 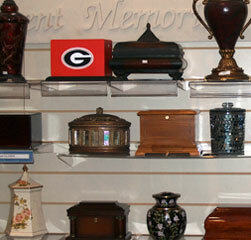 Extreme care is taken with regard to all aspects of the Cremation process. Contact Medford-Peden Funeral Home & Crematory today at (770) 427-8447 for additional information regarding our Cremation Services.